No Sarah, Russia isn't a threat to the United States. Following Sarah Palin on facebook is like having year round contact with your irritating uncle who drinks to much at Christmas and won&apos;t shut up about how lazy poor people are. 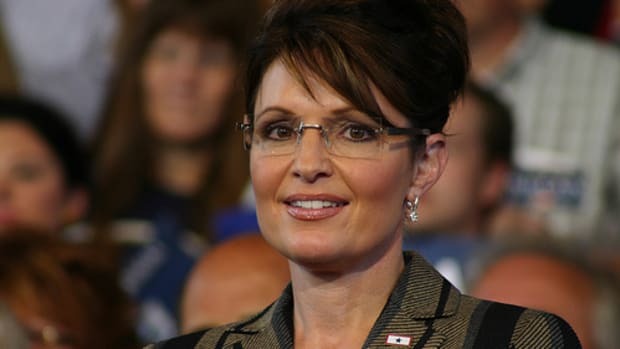 It is hard work subjecting yourself to the idiotic ramblings of a woman who can barely write let alone formulate a thoughtful opinion, but Palin is an influential person and sadly reflects the sentiments of a worrying number of Americans. So someone has to do it. 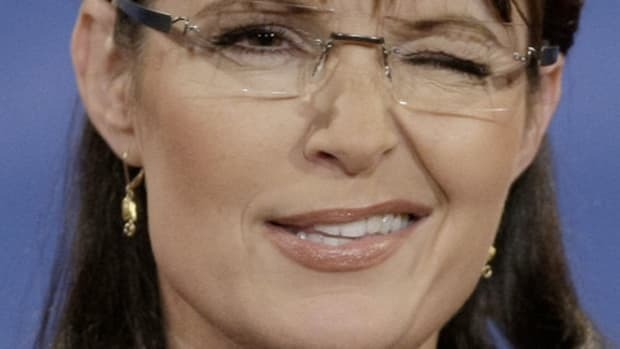 Apparently still smarting from the gaffe that probably lost John McCain the White House in 2008, Sarah Palin wants you to know that she WAS right about Russia wanting to invade America and she really can "practically see" Russian aggression from her house. Commonsense Conservatives roll our eyes at so many "I told you so&apos;s" lately. Here&apos;s a huge one though, and it deserves ACTION beyond the President merely swatting away warnings offered up. America, the White House doesn&apos;t seem to care, but Vladimir Putin is building a massive Russian military base just 300 miles from American soil. 300 miles isn&apos;t far at all. (East Coasters, that&apos;s about the distance from DC to New York.) It&apos;s so close to Alaska you can practically SEE this act of Russian aggression from home! But, Mr. President, to see it you&apos;d have to turn the camera elsewhere - your infamous selfies aren&apos;t catching what I and other perceptive and affected Americans are seeing. Thanks to Col. Allen West for highlighting this incredible story - one we aren&apos;t seeing in the mainstream media, naturally. 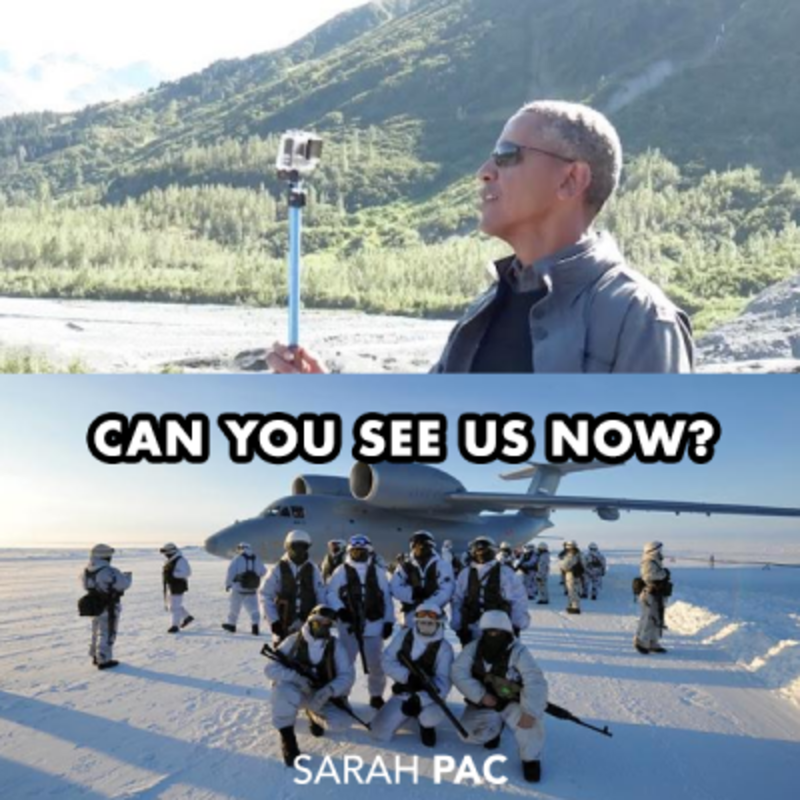 The threat from Russia is real… it&apos;s time we elect a President who carries a big stick, not a selfie stick. 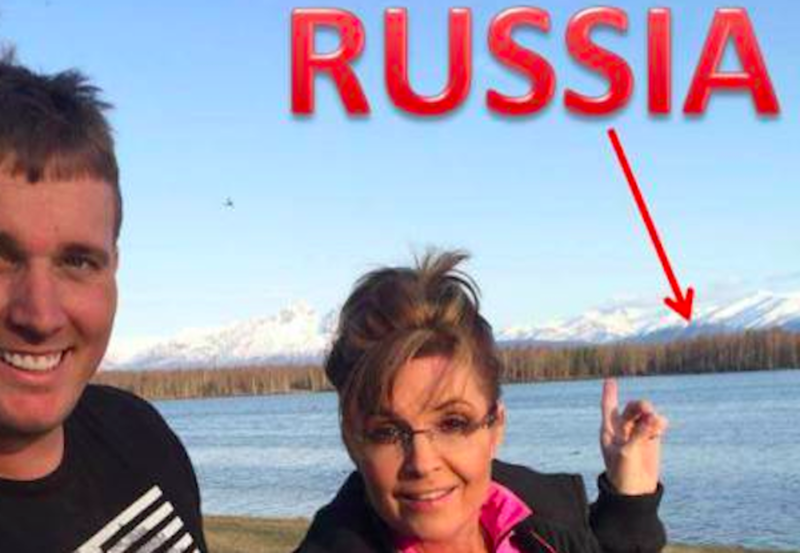 Palin is referring to Russia&apos;s new military base on Kotelny Island, off the eastern Siberian coast in the Laptev Sea. There are a few things worth pointing out here - the obvious being Russia&apos;s inability to compete with the United States militarily in any meaningful way. Russia spends 14% of what the United States does on its military, so the thought it could threaten the US is simply laughable. Then there&apos;s the fact that Russia has built a military base on Russian land - which is of course perfectly legal. Just as Russia has no right to question the United States over its 9 military bases in Alaska, America has no right to question Russia over its military bases in Siberia. 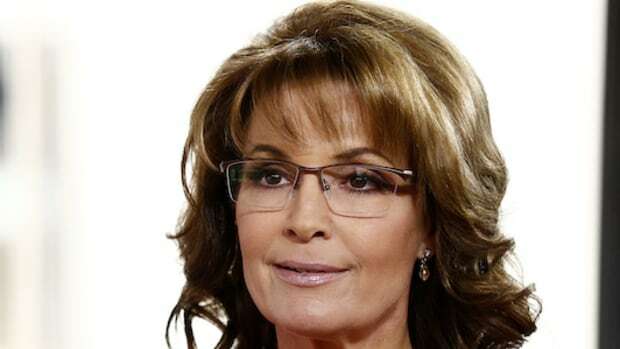 Sarah Palin appears to be completely unable to comprehend this very simple moral equivalence. In her mind, American military expansionism isn&apos;t aggressive - it is actually defensive, while Russian military expansionism is by definition aggressive. 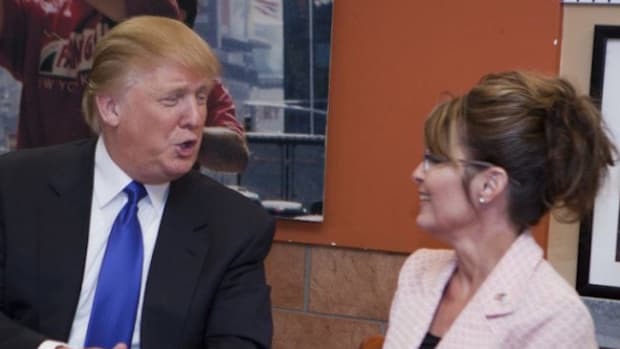 Perhaps it hadn&apos;t occurred to Palin that Russia has long viewed NATO&apos;s expansion as a threat to its security, and saw America&apos;s invasion of Iraq and Afghanistan as a direct challenge to its interests in the region. But then that would require seeing things from someone else&apos;s point of view. It is true that Russia has its own imperial ambitions - just as America does. But they do not &apos;threaten&apos; America as long as America doesn&apos;t regard itself as an imperial force. Which of course it does, even if Sarah Palin believes otherwise. The truth is, Obama rarely responds to Vladimir Putin precisely because he has a realistic understanding of how much of an actual threat he is. Obama regards Putin as a mildly annoying younger cousin who acts out on occasion and believes he is far tougher than he actually is. If Putin really did pose a threat to the United States, Obama would respond appropriately and let him know who the real global super power is. 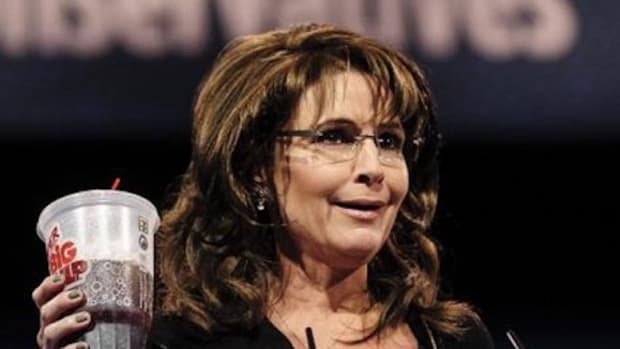 But building a base near Sarah Palin house doesn&apos;t constitute a threat to America&apos;s national security, so no one is going to care about it other than Sarah Palin and other crazy Republicans looking to rekindle the Cold War.